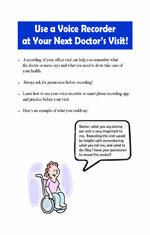 Medical professionals have very limited time to gather important information during medical appointments. FCIC's My Health Report has been designed with feedback from family physicians to help individuals and family caregivers give relevant health information as efficiently as possible. By completing this information and sharing it with your doctor, it will help him/her determine why you are feeling sick. It also helps to free up more time for communication, and discussion of what treatment options are available to address your health issue. 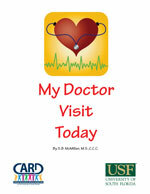 Dr. Liz Perkins would welcome any feedback or comments regarding My Health Report at eperkins@usf.edu. Signs to look for prior to 24 months. This is a small tri-fold business size card. 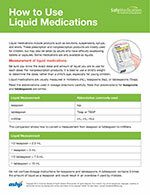 This series of factsheets were designed for people with mild intellectual disability. 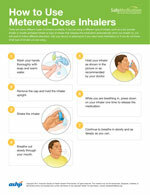 They can be used to help raise awareness about serious health conditions that become more common with increasing age. 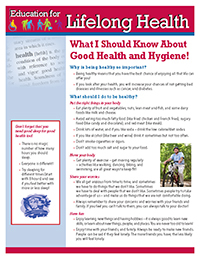 Usual treatments and prevention tips are also highlighted. 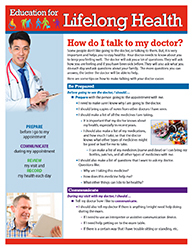 This is a new series of factsheets aimed primarily at Physicians and other health professionals to have succinct information about a range of topics regarding care of adults with intellectual/developmental disabilities. 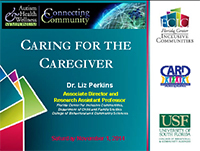 Dr. Liz Perkins (eperkins@usf.edu) would welcome any feedback or comments or suggestions for topics. FCIC's My Health Passport is a health advocacy document that describes the unique supports and preferences of an individual. 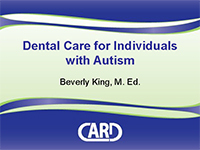 It is designed to be shared with many types of healthcare providers, in clinic and hospital settings, especially for those who are not very familiar in providing care to individuals with intellectual/developmental disabilities. Hard copies of My Health Passports are currently available, and can be ordered free of charge by contacting Dr. Liz Perkins or (813) 974-7076. The forms are also available for free download. 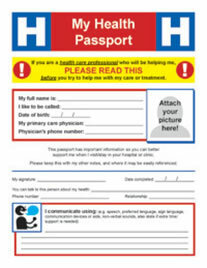 My Health Passport Form English version | Spanish version. 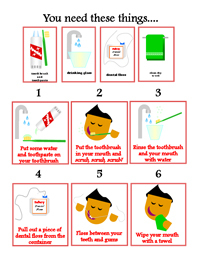 This booklet helps health care providers know about autism and how to make an emergency room experience manageable for all. The Education Subcommittee of the North Shore-Long Island Jewish Health System Autism Steering Committee has developed a brochure “Your Next Patient Has Autism...” for the many health professionals – nurses, physicians, technicians and others – who provide services for children on the autism spectrum. 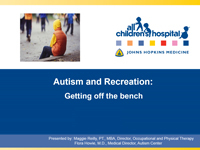 Parents will want to print this brochure and take it to the healthcare professionals that works with their child because it provides strategies for working with children who have autism spectrum disorders. A guidebook for mental health professionals. An overview of recent research and literature reviews dealing with risk factors for obesity in ASD and developmental disabilities. The Florida Medicaid program is implementing a new system through which Medicaid enrollees will receive services. 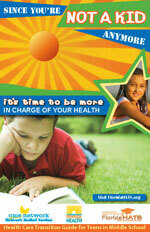 This program is called the Statewide Medicaid Managed Care Managed Medical Assistance program. Information for Physicians and Researchers. Tool Kits: Helpful information on many topics, including blood drawing, dental professionals, and medication decision aid. 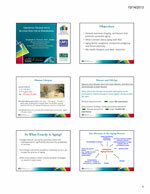 Continuing Education for primary health care providers. This website has over 8,000 1-2 minute videos on a wide variety of parenting topics, including a number of topics related to parenting a child with mental health challenges. This site features expert advice from NAMI Medical Director, Ken Duckworth, and parenting insight from Jay Gaylen, a NAMI Basics teacher from NAMI Orange County. 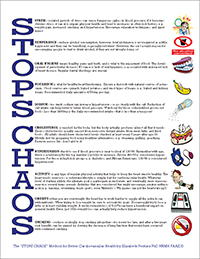 Autism Physician Handbook. The handbook is viewable as a slideshow in English, and in PDF format in several languages. 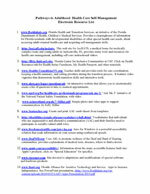 Includes a description of the Florida waiver programs and available services. A service of the U.S. National Library of Medicine. 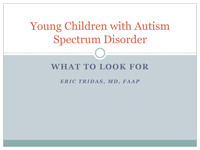 This is an overview page that provides links to several NIH resource sites for information on autism spectrum disorders. 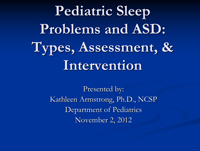 These toolkits provide helpful information and strategies for improving sleep.